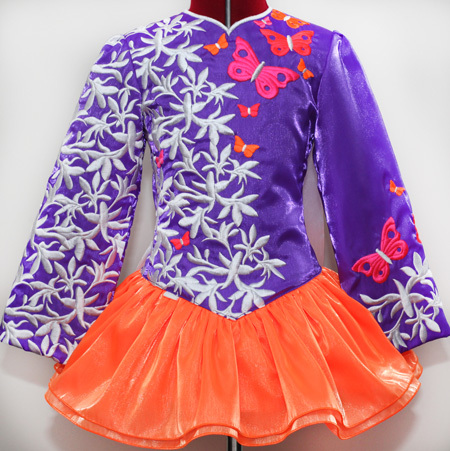 Vibrant purple twinkle satin bodice and sleeves featuring a modern white asymmetrical embroidery design, white fluoro pink, watermelon and orange butterflies. 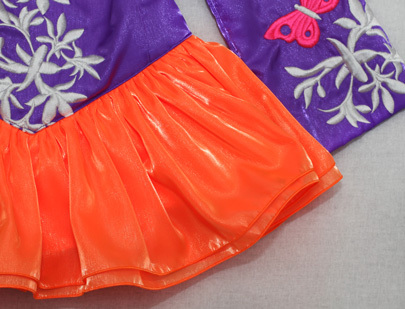 Modern style skater skirt constructed from two layers of fluoro orange twinkle satin. 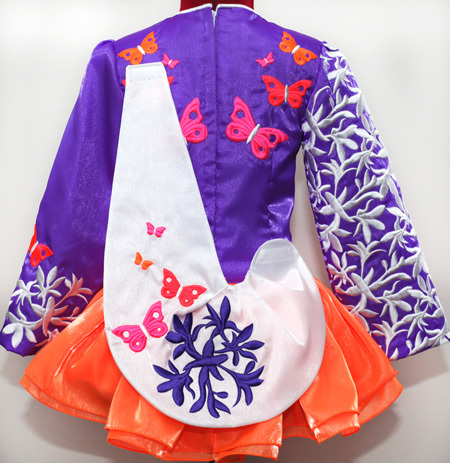 Soft style shawl constructed from white twinkle satin with matching purple, fluoro pink, watermelon and orange embroidery. White and purple striped cotton underskirt lining.